Any vehicle with 12 or 24VDC supply can accommodate the TR-810. 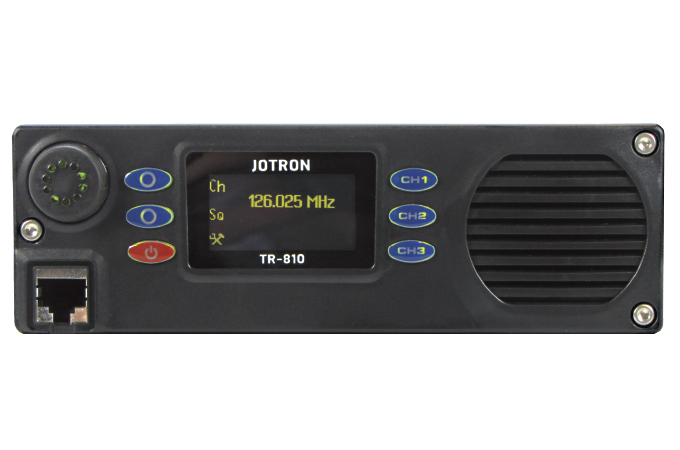 Any vehicle with 12 or 24VDC supply can accommodate the TR-810. TR-810 VE Transceiver Vehicle Version 10W includes: 83200 TR-810 Transceiver Base Unit and a package of 86417 TR-810 VE Accessories, which contains microphone, antenna, antenna adaptor FME-BMC, external ludspeaker, DC cable, 5 meter cable, console bracket, front module bracket and manual. These accessories can also be purchased separately. Includes: Microphone, antenna, antenna adaptor FME-BMC, external loudspeaker, DC cable, 5 meter cable, console bracket, front module bracket and manual.